Every second Sunday of the month at 10:30 a.m., we conduct a Sunday school. The class is held in the choir room at the back of the church. After the processional hymn, all children are welcome to march out to their class, which ends at around 11:o5 a.m. At the end of the class, they join their families for the Holy Eucharist. 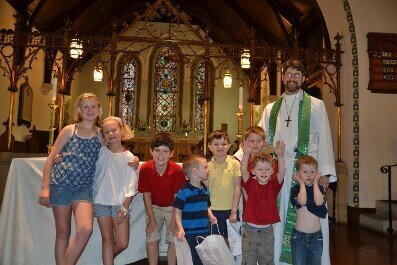 On the fourth Sunday the children remain the in the church and participate in a service for all ages.